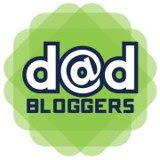 The Disney Dream... extended version Part 4, The Rooms | Daddy's in Charge? The accommodations on The Disney Dream are quite nice. They are larger than that of other cruise lines that we've been on. Other ships we've had to get adjoining staterooms to have enough room, but on the Disney ships we have never felt like we didn't have enough space. 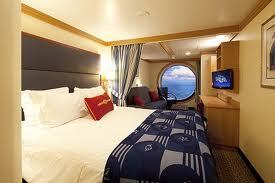 We were lucky enough to have a Category 9b stateroom, in other words it was a Deluxe Oceanview stateroom. One giant porthole was our connection to the outside world, letting us know in the morning that it was time to get up. I shared this room with my wife and two boys and there was plenty of room. If you are a family of four this room is just the right size, I mean all that you really do here is sleep and get dressed. The thing that Disney does right with these rooms is that there is a bathtub. So many other cruise lines give you this shower that really is the size of a phone booth, not taking into account that there are little kids onboard and parents need to give them a bath. The shower area is separate from the toilet, making it convenient for two people to get ready at the same time. Lets be honest the wife is going to need extra time for hair and makeup and the extra room gives her the freedom to get herself all dolled up. 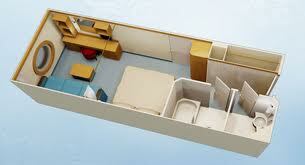 These rooms can comfortably sleep 4 people with a bunk bed that comes out of the ceiling. 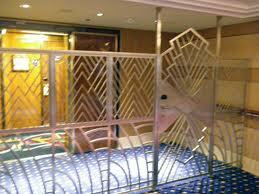 Every night the stateroom attendant would lower the top bunk down with the idea being someone would sleep there. Now this wasn't the case with us as the boys like to sleep in the big bed, so who was on the bunk bed? That's right, yours truly. Carter did sleep up there the first night of our cruise and he seemed genuinely excited to do so. That didn't last, although he did like hanging out up there. If you are looking for a little privacy for you and the misses, this is not the room for you. That being said I don't know if you are going to get that private time if you bring kids on the cruise. Of course you could jump up a level or two and get yourself one of those Concierge Rooms. They do have a separate bedroom that you can lock the door. I was able to gets past security, the big gate that they have, and get some video of what a one bedroom suite looks like in that heavily fortressed area. As for the gate I think that is the stupidest thing that I have ever seen. There certainly could have been some other design, or maybe some sort of glass sliding door but this thing just looks pretty prison like, not that the people inside are prisoners by any stretch of the imagination. I get the idea they don't want the average cruiser walking down these hallways, certainly you pay a price for the peacefulness of not having people walking the halls at all hours of the night, but seriously this is a horrible way of doing it. This combined with that stupid concierge deck outside on the 13th level, I don't think that I would have been happy if I were to stay in these rooms. I can only hope that when they are done building the Fantasy it won't have this thing on it. The interior rooms were quite nice as well but were smaller than the Oceanview rooms. One thing they do in these rooms that I have not seen anywhere else is the give you a fake port hole with a view outside. It actually is quite cool as there is some sort of camera that is showing you exactly what it looks like outside. It's almost as if every room on the boat has a view of the ocean. Of course the view is not a full 180 degrees but at least you get something. 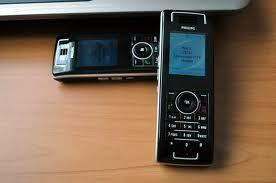 One final thing to note about the rooms is that each room comes with two wireless "wave phones." Each room has two numbers, since we were in Room 2046, we had 20461 and 20462, that way you can call each other. I really like this idea and I have not seen it on any other ship. You no longer need to bring those stupid walkie talkies with you anymore. Its really annoying seeing people try to yell at each other, you can hardly understand what anyone is saying half the time. Anyway with these you have the ability to talk and text, so you now have no excuse to not be in direct contact with the little lady as you sit in the sports bar watching a basketball game and she is playing minigolf with the kids. It's also a great way for the Kids Club to get in touch with you if they need to and they also work on the island. Its just a great touch. All in all the rooms on the Disney Cruises are better than those on other ships. The standard rooms are always larger than those of their counterparts, which probably takes away from the size of the common areas on the ship. I will say that my room had some annoying pump sound coming from Deck 1. It was something that was making noise all night. If you are a heavy sleeper it probably would not bother you, but I would avoid staying on Deck 2. I liked the location otherwise as we were close to the midship elevators, the restaurants, and the gangway but the noise was something that just bothered me.